Melissa: I did my undergraduate work at Oregon State University in Corvallis, Oregon. The town had around 60,000 people and the school had around 18,000 students. The University was a huge part of the community and public transportation was free for all OSU students. I usually took the city bus or rode my bike around campus. Corvallis is a safe place and OSU has a very nice campus that is both pedestrian and bicycle friendly. Melissa: Overall, I think the professors and advisers make themselves available, but it depends on the department. I had problems when I was taking statistics with TA’s not being available and that was really frustrating. I ended up getting a tutor and did really well, but I really needed the extra help. Melissa: I lived about a mile off campus. The dining halls were really nice and provided many choices for students and staff. They were almost always busy during day and were a great place to meet friends. Melissa: The College of Engineering, Business, Geoscience, and Fish and Wildlife were the big programs at OSU. I started out studying business and psychology. While taking general requirements, I didn’t feel like there was a lot of support, but within the departments, professors seemed more invested and did a good job of providing support for students. The College of Business had a lot of tools and resources to support students with computer labs, internships, and scholarships. Melissa: At first it was hard for me to make friends and get to know people. Greek life is huge at OSU. I was a member of Phi Theta Kappa and Sigma Kappa Delta at my previous school and I didn’t pledge once I got to OSU. There were a lot of big events, game day activities, and things to do on the quad and at the Memorial Union, but I was really busy with work and school so I wasn’t able to fully participate. Over time, I made friends with people who I had classes with a lot and through study groups, which was really nice. Melissa: The Career Center was always holding big events and recruiting opportunities, but the student support I found most helpful was through the library. The library was open 24 hours a day, and had so many student services including scanning books into digital files, access to online articles, and study rooms. Melissa: There are so many places to study on campus at OSU! The Valley Library is huge! The coffee shop in the basement was one of my favorite places to study. I also liked the MU. The buildings are all huge and even though they are busy, they provide enough seating to accommodate a lot of students comfortably. Melissa: Downtown is a short distance from campus and is a popular destination for students, especially on weekends. There are small shops, coffee shops, restaurants, parks, and a river. Just outside of town, there are great places to go hiking like Mary’s Peak, Bald Hill, and Peavy Arboretum. Melissa: The student body was big with around 18,000 students. The popular required classes like math and statistics were really big and had between 100 and 150 students per section and those professors usually taught several sections and had several hundred students. In those classes it was impossible to get help from the professors. The upper division classes usually had between 25 and 50. I liked the small classes a lot better. Most of my classes were smaller and I was pleased with the size. Melissa: My favorite class at OSU was Geo 300. The professor (Dr. Cook) was one of the most informed people I’ve ever met and his lectures were awesome. Although the class was on resource management, he touched on every element of life including personal enrichment, history, politics, business, and ecology. Every year he took a group of students to Albania to work in a village, where he had a library and he would personally fund a scholarship for one student from that village who excelled. He encouraged me and inspired me through his teaching. He was an amazing person and an excellent teacher. 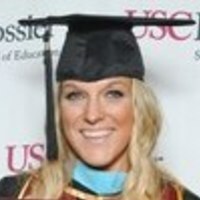 Check out Melissa’s tutoring profile.